This article is worth a look if you are looking to save a bit of money when you travel. It points out a number of fees that you should look out for and tells you ways that you can avoid paying them. For example booking online can often save you booking fees that you would to pay if you booked over the phone. If you are not picky about where you sit on the plane you can often avoid paying a surcharge which can be anything from $6 to $349 whilst packing just one bag can save you money on charges for checked luggage. Other tips include what to look out for when booking a hotel, often those additional charges you are not expecting can really add up. You can check out the rest of the article here. Monday the 25th of May is a Bank Holiday in the UK. There are no postal deliveries or collections on this day. Any letters sent after 5pm on Friday 22nd of May will be posted on the next available working day which is Tuesday the 23rd of May. According to this article many UK resorts are charging higher prices for breaks during the summer holidays. Research has shown that UK resorts put a premium on breaks taking during school holidays with families paying up to 65% more at these times. Whilst foreign resorts also increase prices at these time by as much as 25 to 40%, UK resorts impose higher increases. In the research carried out by Abbey Credit Cards a family of four would pay £560 to stay at Butlins from July 13 to the 20th but this would increase to £921 for a week in August. A holiday at Centerparcs would increase from £1,000 in July to £1,450 in August, a rise of 45%. In comparison a self catering in holiday in the Malaga region of Spain would cost £614 for flights and accommodation during mid-July but goes up to £644 for a week in the middle of August. It seems families wanting a cheaper holiday might be better off going abroad. In their latest move to cut costs Ryanair are scrapping their airport check-in. Customers will now have to check-in online at a cost of £5 and print their tickets out themselves. If they should forget to take their tickets to the airport they will be charged £40 at the airport. Passengers who have baggage will need to use the "bag drop" service as the airline starts to phase out its check-in desks. 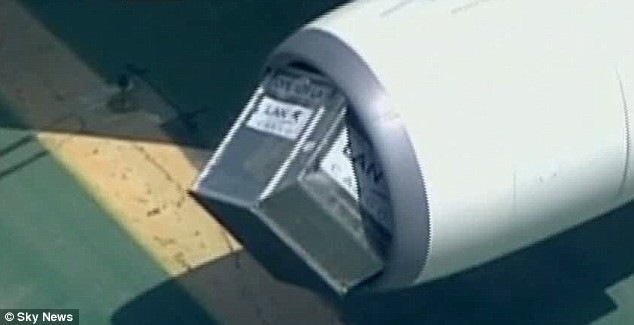 245 passengers were left stranded after a Boeing 747 jet sucked a baggage container into its engine. The plane was preparing for take off when the driver of a luggage cart took his vehicle too close. The vacuum created by the engine sucked the empty cart into the planes engine where it became stuck just as the plane was about the take off. No one was injured and passengers were put on alternative flights. Monday the 4th of May is a Bank Holiday in the UK meaning there are no collection or deliveries on this day. Any mail received after close of business (5pm) on Friday the 1st of May will be processed on the next available working day Tuesday the 5th of May. This is interesting, its an new airline due to launch in the US which will cater exclusively for pets. The airline named Pet Airways claims to be the first designed specifically for the transportation of pets. All the animals will travel in the main cabin and owners are not allowed on board. The airline aims to make air travel much less stressful for pets and offers an alternative to conventional airlines where pets are treated as baggage and have to travel in the cargo area. The seats inside the plane have been removed to make way for pet carriers. Pets or pawsengers as they have been dubbed can be booked in online and then checked in at the Pet lounge at the airport. Pet attendants give the animals a toilet break before take off and monitor them throughout the flight promising that they will never be left alone. The airline has scheduled its first flight for cats and dogs for 14 July and will serve five US cities - New York, Washington DC, Chicago, Denver and Los Angeles.